The first time I tried Tom Ford Traceless Touch Foundation Satin-Matte Cushion, I thought I'd stick to that forever! It was one of the most seamless, natural-looking foundation I've tried to date! 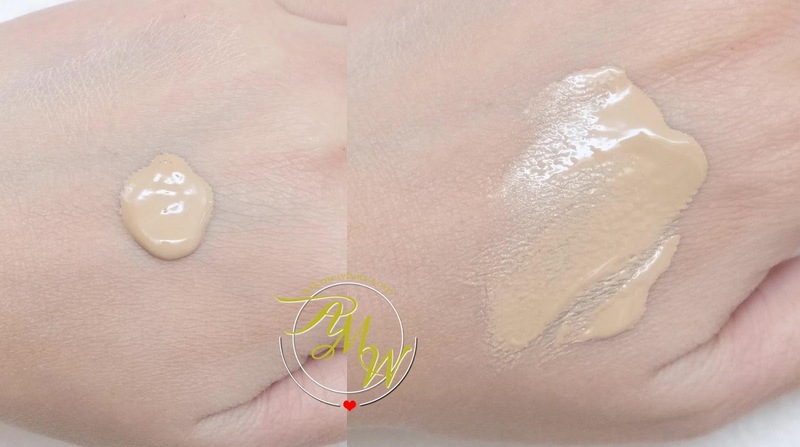 So when I found myself face-to-face with their Traceless Perfecting Foundation, I was a bit hesitant in giving this a test run as I already set my mind and eyes on their cushion format. A natural-finish, longwearing, humidity-resistant foundation that moisturizes and evens skin tone creating a flawless, supple and pore-less canvas. The packaging itself is a JOY to use! I love how I can tote this along during my staycations or travels without worrying about "spillage". All you need to do is to twist the cap and the nozzle will pop up! 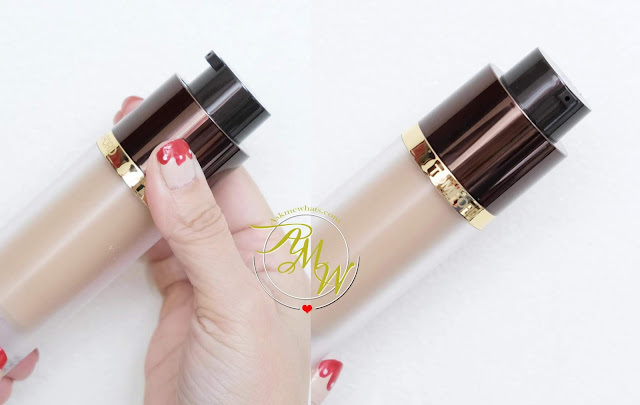 The packaging is housed in plastic though, so if you prefer the glass-type luxurious foundation packaging, you may be a bit disappointed in this department. As for me, I don't mind the packaging as long as it's lightweight and easy-to-bring! I got the shade BISQUE for this particular foundation as the perfect match for me. I highly recommend everyone to try out testers and let it sit for a couple of minutes before you commit on buying the product. I am a FAWN on their cushion foundation so I was surprised it was a different shade on their liquid foundation. I know, Tom Ford is a bit pricey as compared to most foundations I've featured BUT, it is great to know that this foundation is Free of Sulfates SLS &SLES, Parabens, Formaldehyde-Releasing Agents, Phthalates and Mineral Oil. This product is also Gluten-free just in case it matters to you! The best part is, this foundation WORKS FOR ALL SKIN TYPES! I've used this on clients who have oily skin, clients with dry skin and even combination skin! You only need to know how to set it to get the finish you want! A matte finish would entail you to set this product with a matte finish powder while a dewy finish can be achieved by lightly dusting on loose powder that has satin-finish to achieve that glowing skin! I can easily work on light, medium to full coverage! No matter how many layers applied, I appreciate how this foundation appears very natural and skin-like! Check out my medium-application AFTER photo below. Thankfully, the product does not oxidise on me. Whatever you see after application, it stays that way for the whole day! The foundation does not melt even on harsh humid weather as long as I set it properly. If I wanted a very natural and subtle finish, I'd go for my daily go-to Tom Ford Cushion, if I am attending an important event and wanted something more professional-looking in terms of coverage, I choose this one! Best of all, no matter how full the coverage is, my makeup looks natural all the way! Is it worth the price range? Yes if having a perfect base that stays natural-looking all throughout the day is something you highly invest on. NO if you are not a fan of base makeup and prefer to let your skin breathe every single day! As for me, this will be the best investment especially for base makeup lover like myself! It doesn't hurt that I will always have an excuse to use this on clients too because clients are always worth the investment! Have you tried Tom Ford Makeup? Which among the 2 do you prefer based from my photos? Tom Ford is available locally at Rustans and Adora. How much is this, Nikki? Is it available in Adora? Thanks! The coverage on the under eye area is very good! Doesn't look cakey.